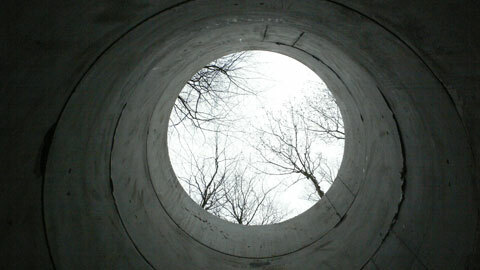 The hole is a 7 meter deep, 2.4 meter diameter shaft, constructed from concrete rings. 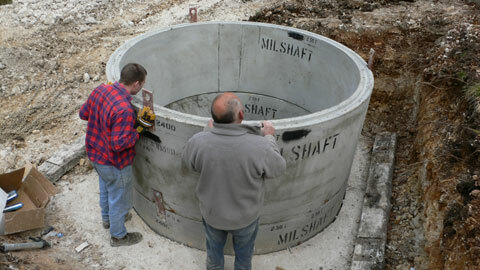 The bottom 2 meters are waterproofed to allow a pool to form, with an overflow pipe at a height of 1 meter. 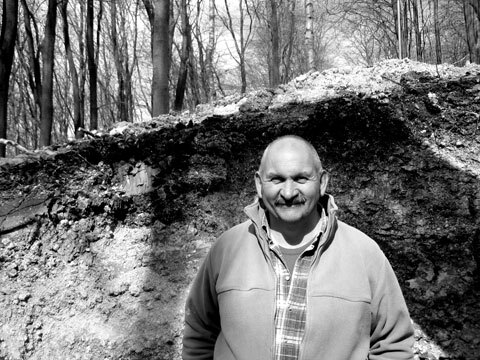 It was dug by Paul Ireland, introduced to me as “The Human Digger”, a title he wasn’t aware of but more than justified by digging out the entire hole in a week. 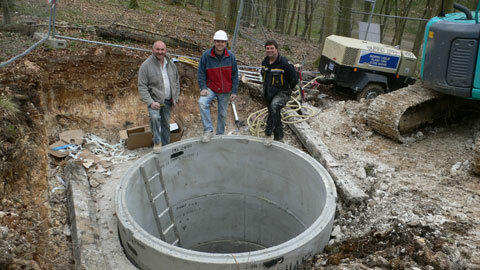 Paul was assisted by Tom Swayne, Tim Boxall and Steve Riches. 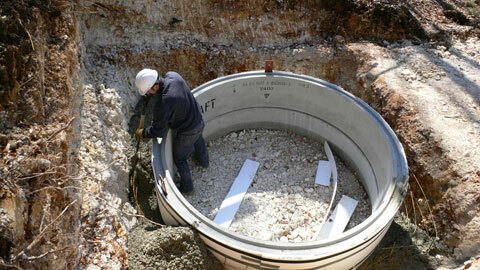 An initial hole is dug and the first ring placed within it. 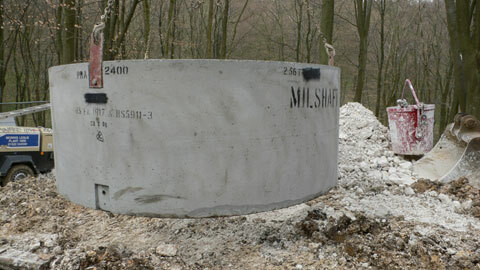 Concrete is poured around this ring – with a tiny gap – to guide the subsequent rings down. Standing inside the ring the next meter is dug out, after which another ring is placed upon the current top ring. 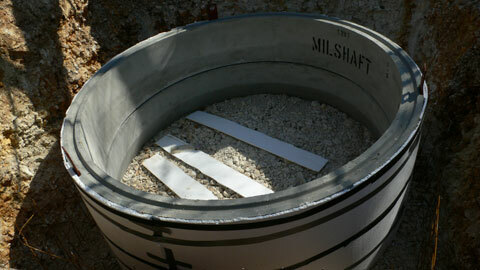 Gravity pushes them both down into the meter hole dug below. 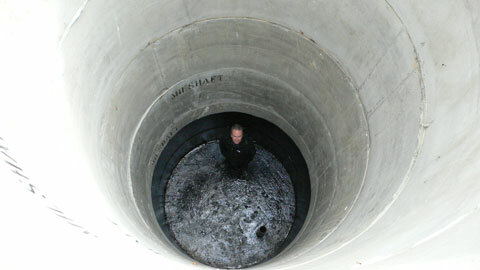 Paul, Tom and Tim beside the shaft after the rings have slipped down following on from the previous photo. 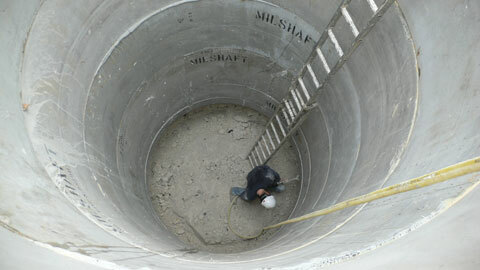 Thus the complete shaft is dug out, in meter increments, a new ring being added on top each time.